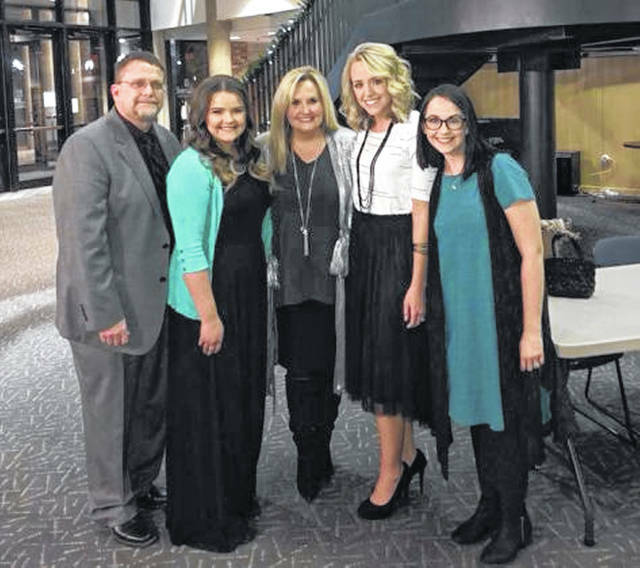 The DD Faith Memorial Gospel Concert is all set for Saturday at 6 p.m. at Shawnee State University’s Vern Riffe Center for the Arts. Admission is free, and donations will be accepted for the DDFaith Foundation Scholarship Fund. She studied piano for several years and began college as a piano major, later switching to education with a minor in music. https://www.portsmouth-dailytimes.com/wp-content/uploads/sites/28/2019/02/web1_ddfaith.jpgKaren Peck Gooch is pictured with the family of Dee Dee Duduit at the 2018 event. From left are Dee Dee’s husband Blaine, daughter Grace, Karen, and daughters Brittany and Ashley.